Simeon of legendary psychedelic electronic band Silver Apples has been playing solo under that name since the death of bandmate Danny Taylor, and he’ll continue to do this year. 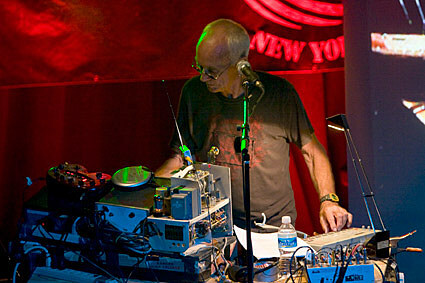 There’s no tour announced at the moment, but we know Silver Apples will hit NYC on July 30 at Trans-Pecos with Bookworms and Giant Claw. Tickets on sale now.